First off, I have to address the boring maternity leave / business stuff...and then I promise you get to see some cool images at the end. :) Well, let's start off with an image...I was IN FRONT of the camera! My dear friend Carrie, from Carrie Weaver Photography photographed maternity photos for me. Here are a few images from my session with Carrie of that baby bump of mine, growing ever so rapidly :). My maternity leave is nearing, and honestly, I can't wait! Yes, I do love photographing all your beautiful faces, but my body just cannot handle it! Physically, this baby has been very hard on my body this time around. My back has been horrible, and gets worse each time I stand for a long period of time or squat. AND if you are a photographer reading this, you know all the crazy positions we put ourselves in to get certain shots...yeah, this pregnant lady just can't do that right now! lol February 15th marks my maternity leave and I will not be taking appointments until April. In April, of course, appointments are very limited and in May sessions resume. If you are wanting a Spring/Summer/Fall appointment, most of my weekends are taken until October 2014. I only take two weddings a month and each month is full except July. Contacting me with your deposit to hold a date is the only way to ensure you have a date/time reserved. Okay, now enough of the boring business talk :). Let's talk about this baby! I am so excited I am almost done with this pregnancy, and that is a complete understatement! In my mind I am preparing myself for this birth, and I am not sure if I WILL be fully prepared mentally BUT all the "things" I need for the homebirth are almost all purchased. Saaaay whaaaat? Did I say "homebirth"? Yep, homebirth. I birth on my turf. You might think I am crazy or whatever, and that is fine. I love homebirths! My last daugther was born at home, right in my bedroom. It was so intimate. I felt in control of my body and I felt STRONG. With Selah's homebirth, we were going to have a waterbirth but that didn't work out SO with this sweet baby boy, waterbirth is the goal! Do we have a name picked out? Yep, sure do! :) Baby Abrem. 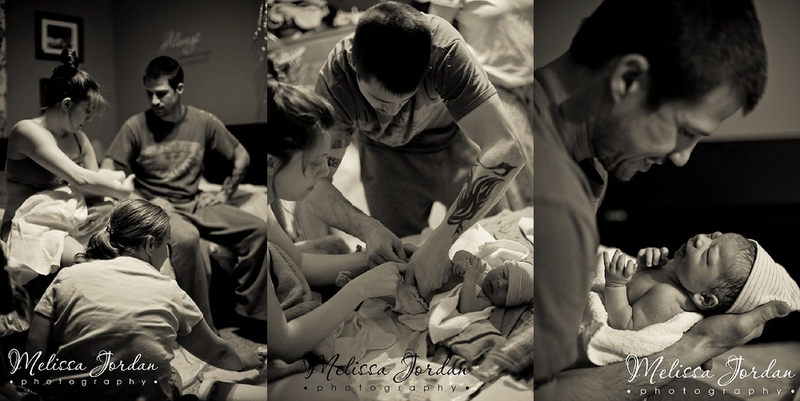 Here are some images from my daughter Selah's homebirth. These images were taken by my friend Melissa at Melissa Jordan Photography. She actually just had an open house for her new studio (in Warsaw) shared with Jaci Forshtay. Congrats, ladies, on your new space! Melissa will be photographing Abrem's birth, which I am ecstatic about....just take a peak at the images she captured at Selah's birth and you'll see why! Melissa Jordan has such a way of capturing the true raw emotion of birth. Enjoy this tiny peak into my homebirth experience, and I cannot wait to share the images with you that Melissa takes of Abrem's birth!